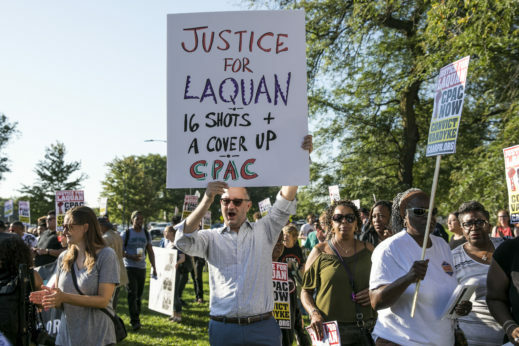 CHICAGO—Seven different witnesses took the stand Tuesday during the second day of the Jason Van Dyke trial, the landmark case surrounding the police shooting of 17-year-old Laquan McDonald. Among those testifying was Joseph Walsh, another Chicago police officer who was Van Dyke’s former partner. Walsh is one of three officers that were charged with conspiracy, obstruction of justice, and official misconduct in connection with their efforts to cover up Van Dyke’s killing of McDonald. Walsh was forced into retirement after the city Inspector General said he should be fired for his role in the investigation. Despite initial concerns about McDonald, Walsh indicated that he did not observe any aggressive behavior from McDonald towards any officer. Furthermore the witness stated that he was “startled” when Van Dyke fired off the first shot, saying, “I did not realize it was happening.” Van Dyke’s former partner alleges that at one point he saw McDonald raising his right arm with a knife in his hand up to “shoulder level” and then swung the knife forward. Video footage, however, shows only limited perspective in the moments before and after the shooting began. According to Walsh, McDonald hit the ground “within seconds” of the first shot. The defense’s primary argument rests on the notion that McDonald posed a threat to Van Dyke, which Walsh confirmed. Another witness that took the stand, however, countered that narrative. 26-year-old Xavier Torres says he was in his father’s car on the side of the road when he saw McDonald walking down the middle of the street. Torres said he saw McDonald walking towards a nearby fence—away from the officers—when he first heard the gunshots. Torres had difficulty describing how many shots he heard. “I just know I heard multiple,” he said, describing the experience. 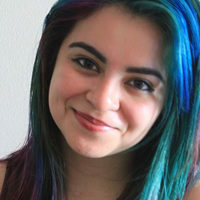 Although the witness said he could not count the exact number of shots, he did say with certainty that there were “more [shots fired] when he was on the ground.” When asked by defense attorney Randy Rueckert during cross examination whether he saw the knife in McDonald’s hand, Torres testified that he had not been able to at the distance he was from McDonald. Additional details about the night of the shooting came to light when Cook County Deputy Adam Murphy took the stand. Murphy was working his shift when he noticed a large number of CPD squad cars flashing their lights and speeding north on Cicero. He followed them to the scene where McDonald’s body lay. Upon arrival, he attempted to provide first aid. “He was gasping for air and gurgling” said Murphy, who was last person to make contact with Laquan McDonald before he stopped breathing. 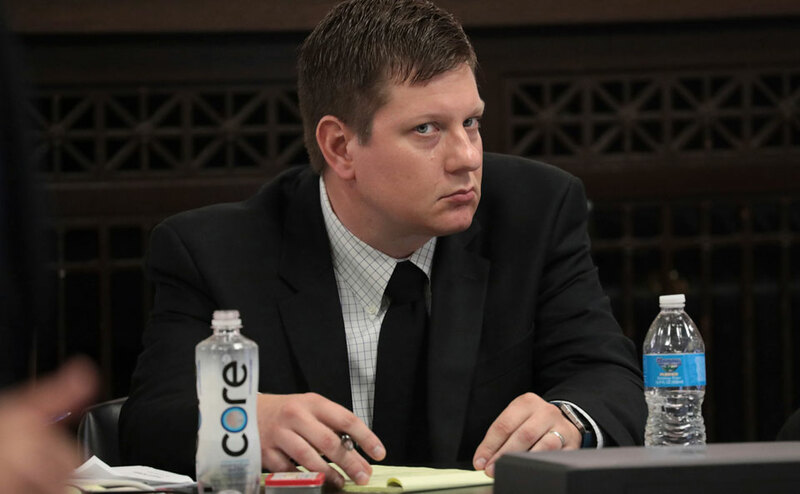 As the Van Dyke trial continues to unfold and witnesses testify, new details from the night of the shooting continue to emerge. There are several more weeks of scheduled court appearances, but there are no confirmed details on who will be testifying and when. Cook County Judge Vincent Gaughan has taken extraneous security measures, including keeping the compiled witness list away from the public.